Calling all health food lovers! One of Canada’s leading independent organic grocers has officially opened their new fourth location in the GTA. To serve an ever-growing community, Organic Garage just opened their new location inside of the historic, 100-year-old building at 42 Hanna Avenue. Organic Garage was founded in 2006, by the innovative, Matt Lurie. With the help of his family, Organic Garage opened the first of their stores in Oakville, Ontario. Family owned and operated, this one-stop shop is filled with nothing but the best certified organic and natural products at prices you can afford. Including this new location, Organic Garage will have four locations in the GTA including stores in The Junction, Vaughan and Oakville. Organic Garage has committed themselves to provide healthier, organic food for less. 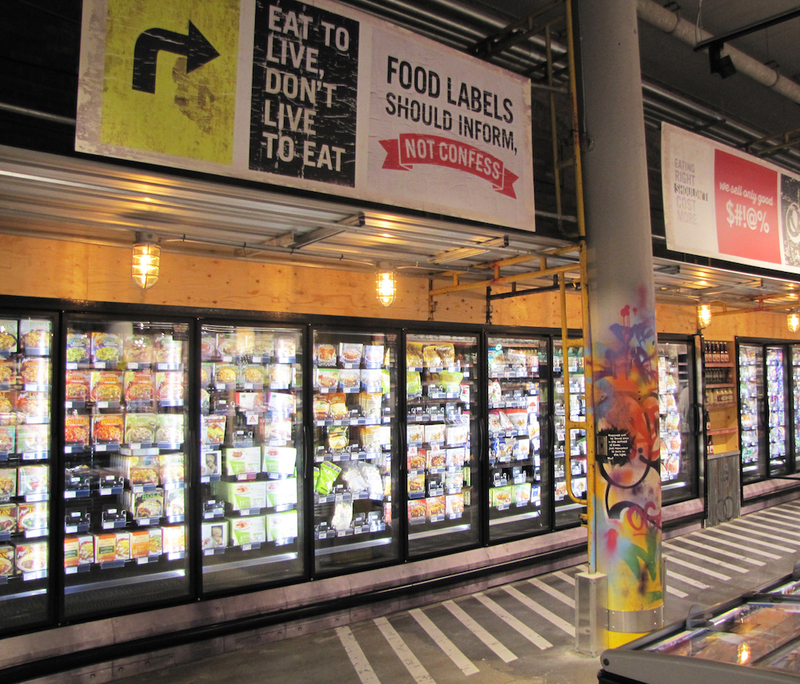 The new location is promised to provide a 100% dedicated Certified Organic produce department. They also have a large variety of grocery, bakery, dairy, meats, frozen foods, vitamins & supplements, health & beauty and bulk food items. This huge new location also features an 11-tap draft station for Kombucha and cold brew coffee including waste-free containers, who can say no to that? Also, as part of their commitment to the Zero Waste program, all locations offer battery recycling, biodegradable plastic bags, cups and a bring your own container program. 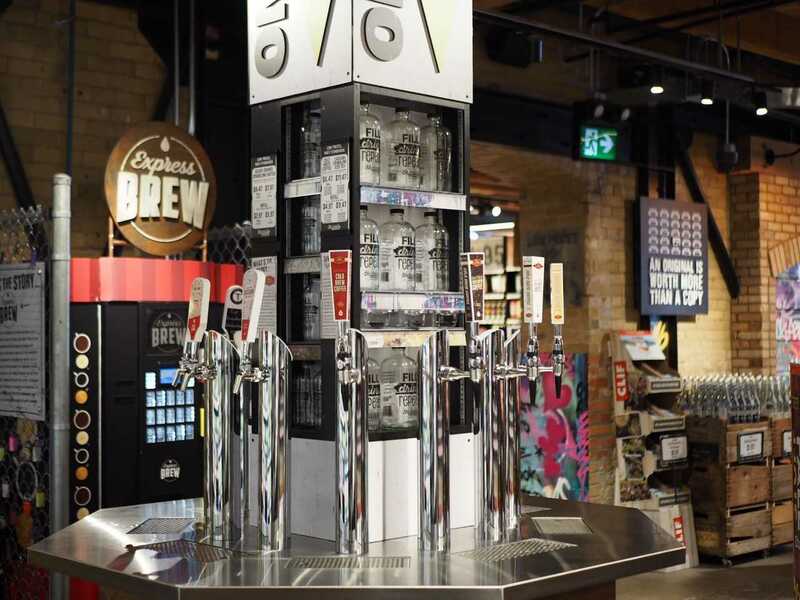 The liberty village store is the first location that will be offering a Hand-Picked Partner Program which will introduce made-to-order food and beverage options. A sushi take-out bar from Cali-Rolls with freshly made Sushi. 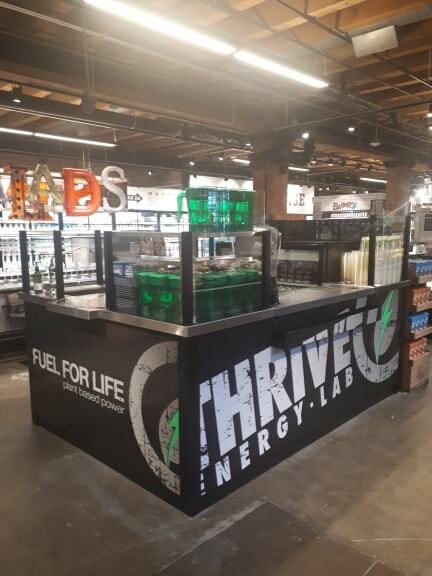 A fresh juice and smoothie bar from Thrive Energy Lab to help wake up your morning routine. A Kefir bar from deKEFIR to help energize your day with a healthy snack. 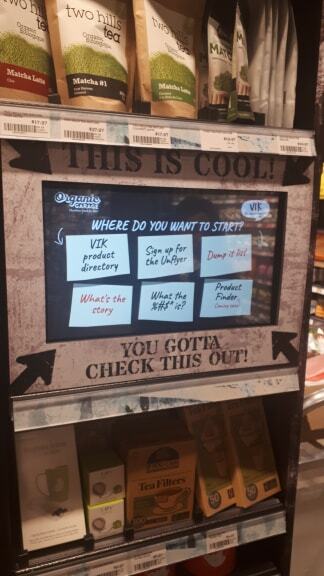 Touch Screen Information Tablets with healthy recipes and information about all of their products. 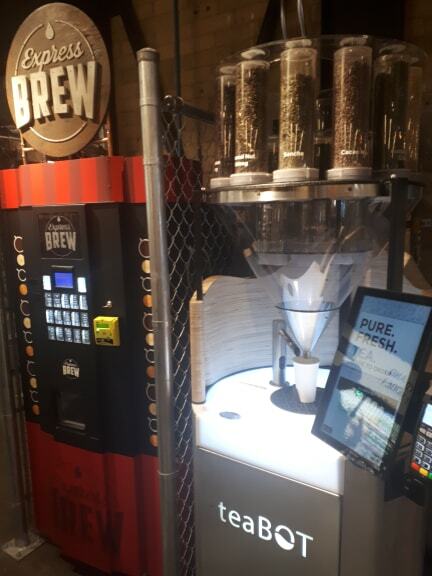 And, a self-service teaBOT kiosk and Express Brew to make you coffee and tea, to taste. Find out more about Organic Garage and their new location!